Is your life heading in the right direction? How do you know if it actually is? Do you understand the journey you are on now? Do your daily habits help you to reach your life goal? Granted, there are no guarantees, but there are some ways to create your own positive momentum. Choose your daily habits well. 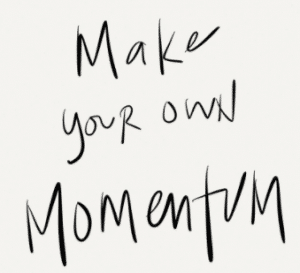 In this article from Positively Positive, it provides some tips to creating your momentum.